"When I was young, after it rained, my house would be swarmed by millions of frogs. big and small. It was like a plague of Egypt. Nowadays, I have to search thoroughly, leaving no stone unturned, just to find a few small frogs...."
"That's because the government didn't stop the developers from clearing and filling wetlands. To them, wetlands are wastelands. How many local and endemic species, which might be unique and endangered, will be lost forever..."
"They cut timber as if it were grass..."
"The rivers are polluted, the plains are flooded, and the weather patterns are changing..."
Towards the middle chapters, environment is the backdrop of my novel, THE EURASIANS.The story started in 1963 and ends up in 1998. That were decades ago, and all over Borneo, the tropical forests were destroyed at an alarming rate. Not even the marine life were spared. Over fishing by foreign trawlers swept every creatures crossing their parts; immigrants from neighboring countries introduced fish bombing as an easy way to catch fish thus destroying the delicate coral reefs. I thought that was the past. Nowadays the government and societies of Borneo are supposed to be more aware of the importance of their environment. Sadly, as we go out of our houses, we still see massive hill clearing disregarding the unique vegetation such as monkey cups and clearing acres and acres of mangrove swarms to give way for housing developments and also prawn farming. The latest news I read in the press is that the government had awarded a company to harvest trees from the forest reserve of Trus Madi. Mount Trus Madi is the second highest mountain in Borneo; about 9000 feet above sea level. It should be a UNESCO Heritage site. It is the home to the Pitcher Plant. Where will their next site be? The Crocker Range? The North Borneo (Sabah) Tourism Board are actively promoting visitors to come and see beautiful Borneo. To see what? 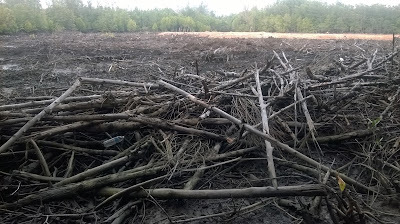 Cleared forest and mangrove swarms? Fin-less sharks? Destroyed coral reefs? Concern local citizens are actually so helpless. Our voices are simply being ignored. 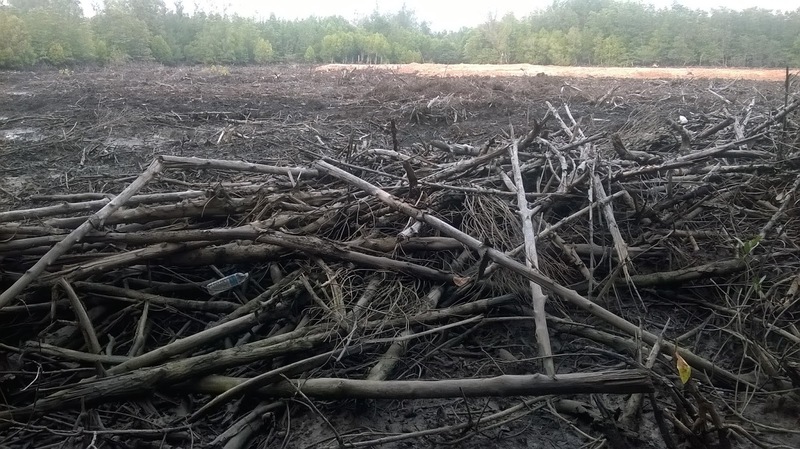 We need more efforts from people around the globe to voice their concerns because in a long run, the destruction of Borneo natural environments will eventually comes to haunt them too. LIKAS BAY: Chakoi the Chinese doughnut!